Lauren Jauregui feels "super proud" of Camila Cabello for her Grammy Award nominations. The 22-year-old singer has praised her former Fifth Harmony bandmate after Camila received two nods for the upcoming awards bash, for Best Pop Solo Performance for 'Havana' and Best Pop Vocal Album her debut solo record 'Camila'. Speaking to E! News, Lauren explained: "I'm super proud of her. I'm grateful that she got into a place in her career where she's happy and she doing what she wants to do. It's amazing that she got nominated." Another of Camila's former bandmates, Normani, has also congratulated the chart-topping star on her latest achievement. Asked whether she'd offered her congratulations to Camila, Normani said: "Yes! Why not? Why wouldn't I? I love her so much." Meanwhile, Lauren previously defended Little Mix after they stripped bare for the promo for their single 'Strip'. 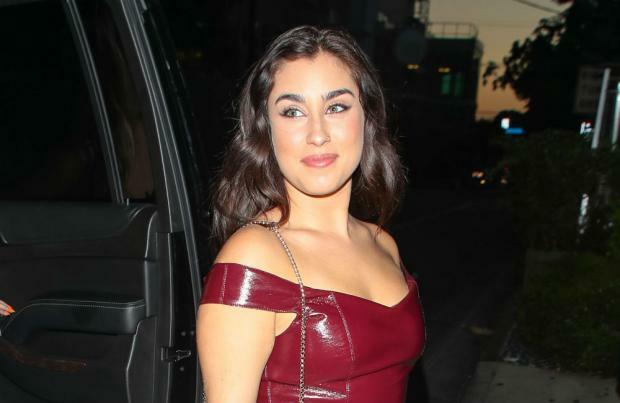 After the girl group received backlash on Twitter for their decision to show their skin, Lauren spoke out, saying their clothing choices don't make them any "less empowered". One critic wrote: "'Little Mix strip naked and are scrawled with insults.' Yet again, young women pretend that going naked empowers them. It doesn't. It's just another cheap way to sell themselves. But I suppose it makes a nice change from this group dressing like hookers." To which Lauren replied: "If your intention is the empowerment of women, how about you don't add yourself to the list of misogynists who deem what is appropriate enough to be 'respectable'. All forms deserve respect. They are no less empowered because of their clothing choices. Don't be salty they look [hot]. (sic)"